Since I Graduated Law School I Have Worked 80 Hour Weeks. Will This Ever Change? Far too many attorneys believe that to be good at what you do, you need to be a workaholic. They certainly seem right, because working hard often equates to being successful and respected. Most old-school attorneys believe that if you are not willing to sacrifice your life, family, and friends for the practice of law, you are not a good attorney. Of course, that idea is rubbish. There is nothing noble in sacrificing your happiness just to be a lawyer. 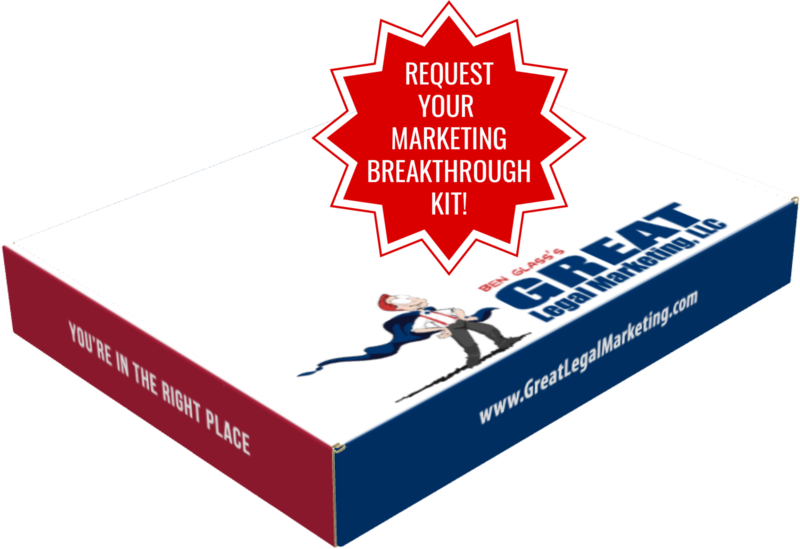 New Great Legal Marketing members are shocked to hear us say that working 10 hour days (even on weekends) is bad for your law practice. Our message is that working in your law firm less is better for your business than over-working. The health and mental benefits of working less outweigh the benefits of working 20 more hours a week. Not convinced? Here are four reasons you should work less. You have to trust your office staff to do their jobs. If you can't trust them, get rid of them and hire people you can trust. If they are trustworthy people, but you find it difficult to let go of some tasks, you need to put your practice in perspective. You are the business owner, and you are responsible for making the most money possible. To do this efficiently, you should focus your time and energy on money-making tasks. When was the last time you shut your office door and spent some time thinking about your law firm? For some, this activity can seem like a time waster, but you should be dedicating part of your day or week to meditating on your law firm. Meditating like this will help you clear your thoughts and focus your energy on what matters in your law practice. The technology to automate many office systems used to be unattainable for small businesses. That is not the case anymore. Many of your office processes can be and should be automated. Even some legal work can be automated our outsourced so you can spend your time on the work that is profitable and enjoyable. If you want to spend less time working, you are the only person who can make that happen. Clients will still call and demand to speak to you right away. Office staff will walk into your office and interrupt you. Potential clients will schedule appointments and cancel at the last minute. These time wasters will continue unless you put your foot down. Any item on that list should be enough for you to think about how you are spending your time. 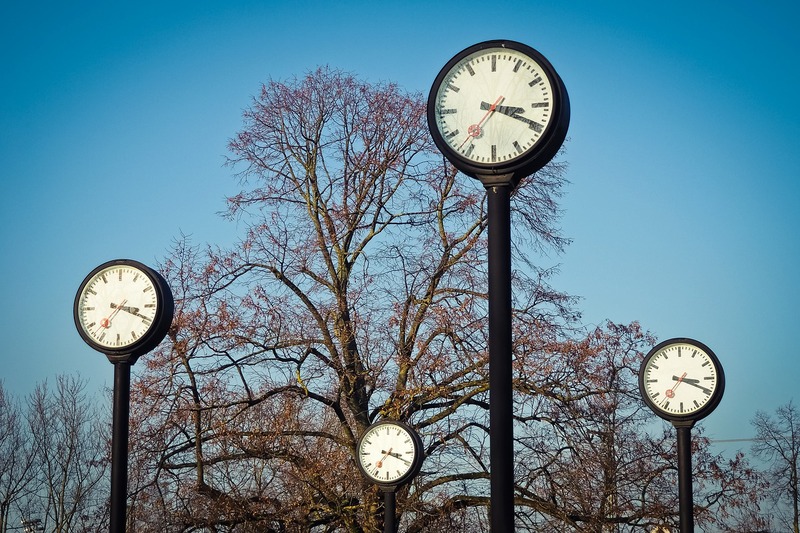 Something as simple as automating your office processes can save you many hours each week. Even if you implement one of these items, you will be in a better position to lead your law firm. Won't Working Less Mean I am Less Productive? If I were speaking to teenagers, I would probably talk about the value of hard work. However, I am not speaking to teenagers, I am speaking to the most over-worked group of professionals in the world. When I talk to attorneys, I have to remind them, sometimes more than once, that adding stress to your life is not good for your business or your health. Still, many attorneys are worried about how they are perceived by their peers. They don't want to be the attorney in the room that works the least. My thought is "who cares!" You may not be the hardest working attorney in the room, but you can still be making the most money. It may seem like a paradox, but it is the truth. I don't walk into my office until after 11 am. I rarely stay later than 5 pm, and I never work weekends. There are many who would say "there is no way Ben can be making money living like that," but my practice is more profitable than ever. Plus, I have kept my law firm small. I have limited my crew to one other attorney and four support staff, and we are one of the only law firms handling ERISA disability claims in Virginia. I am also a father of nine, a soccer referee, and I run Great Legal Marketing. Most would look at all my responsibilities and assume it is impossible to do what I do, while "working" as little as I do. The secret is that I protect my time. I don't take unscheduled phone calls, I don't keep email on my phone, and I refuse to sacrifice time with my family for work. These ideas can work for you also. Implement one, or all, of the ideas I have listed here and you will see your life improve right away. Ignore what your peers may say, attorneys don't need to work 80 hours a week to make money, and they shouldn't work that much if they want to be happy.